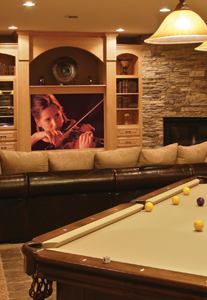 Our mission is to bring the best audio/video entertainment system and finest home control solution to your home. As your trusted electronic integrator, we will work closely with you to design and install your perfect system. We pay close attention to critical details during every step of the process. We ensure a system that encompasses all your desires and stays within your established budget. After the installation is complete, we'll provide the proper technical support. We keep you updated on the latest trends and newest technologies to make sure that all of your needs, both present and future, are constantly accounted for. Be it for one room or for the entire house, we can implement the highest quality electronic solution for you and your family to enjoy.